Gym and exercise enthusiasts swear by special sports drinks such as protein shakes to help them with the recovery process of their workouts. However, a new study has revealed that a much simpler drink just as delicious could aid in the recovery process. It’s good old chocolate milk. According to Iran’s Shahid Sadoughi University research, chocolate milk lets people exercise for six minutes more than other sports recovery drinks, and it helps improve lactic acid levels and the heart rate. Chocolate milk also had fats, proteins and carbohydrates along with electrolytes and water, which are necessary for the post-workout process. 150 people participated in the study – they drank chocolate milk after doing a series of exercises like cycling and running. A series of markers were looked at including tiredness, lactic acid levels and heart rate. 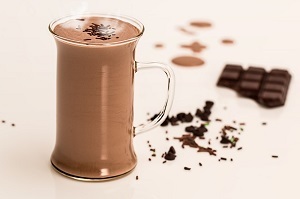 What researchers found was that the chocolate milk was just as effective as a recovery drink or placebo, but before a definitive conclusion could be drawn, more study needs to be done. Dr. Amin Salehi-Abargouei said, with all the nutrients chocolate milk has, it’s a suitable choice for athletes to have after a workout. He said it’s a low-cost and tasty option compared to the commercial, more expensive super drinks available. Besides chocolate milk, people can eat cereal with milk, some smoothies or soup with added nutrients. While drinking water is good to help replace the fluids that were lost while sweating, it doesn’t give the muscles the nutrients they need to recover. Posted by News on Jul 15 2018. Filed under Featured, Health, New. You can follow any responses to this entry through the RSS 2.0. Both comments and pings are currently closed.